Don’t Trust Your Truckload and LTL Flatbed Trucking Shipments to Just Anyone. At Great Western Transportation we specialize in Flatbed Trucking and make sure that your shipment has the right sized tarps and the proper tie downs for the job so that it will be protected and ready for use at its destination. With Flatbed Trucking there is a variety of trailer types that are designed to fit the many needs required by different shipments either based on size or how they need to be loaded. In addition, we can supply team service for any of your shipments that need to deliver as soon as possible for projects with minimal slack available in their schedule. Great Western Transportation supplies Flatbed Trucking service through out the Continental United States and Canada on both a Less-than-Truckload (LTL) and Full Truckload (FTL) basis. Flatbed Trucking specifications and configurations are industry standard as illustrated in the diagram below. 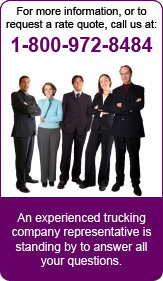 Consult your Great Western Transportation representative to find out which trailer is right for your shipment. We provide our customers with access to flatbed capacity anywhere in the United States and Canada. We understand that requirements differ for each customer. Great Western Transportation can provide an assortment of equipment types and sizes along with any necessary components such as Conestoga covers, tarps, straps, chains or coil racks.